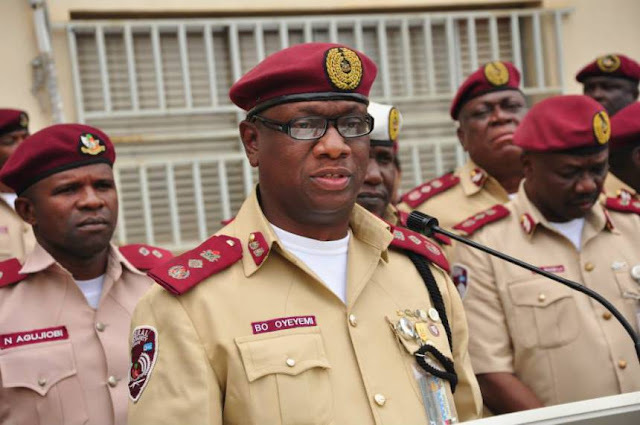 The Federal Road Safety Corps (FRSC) has urged travelers and road users to use its toll-free 122 line to report any urgent negative development on roads. The Enugu Zonal Commander of FRSC, Mr Samuel Obayemi, gave the advice while speaking with the News Agency of Nigeria (NAN) in Enugu on Tuesday. Obayemi, who is in-charge of Abia, Ebonyi, Enugu and Imo States, noted that the toll-free line should be used to get to FRSC National Operations Control Centre Abuja, where assistance can be received for any issue on the roads in the country. He said that the line, also known as FRSC code number, was the surest and quickest means to get the attention of the corps even when its patrol teams and unit command situated on the roads were not easily visible. “The toll-free 122 line is an express dial emergency number to get the FRSC National Operations Control Centre, Abuja for compliant on any development or issues on the road. “You can dial and report any accident involving vehicles or other objects on the road. “You can report on activities of road users especially drivers, who drive recklessly at the detriment of lives of other road users, so that the control centre can get to the nearest FRSC patrol team on the same road to stop the reckless driver. “Even, you can use it to report any of our staff, who is deviating from his duty or becoming unprofessional in the discharge of his or her duty on the road,’’ he said. The zonal commander also said that the control centre also received criminal and hoodlums threats on the road, related to the nearest unit or sector command to get the attention of the law enforcement agencies. “The FRSC National Operations Control Centre, Abuja has been instrumental to the smashing of activities of criminals on our roads through road users report to the centre via 122. “Since, we have effective collaboration with the police, Nigeria Security and Civil Defence Corps (NSCDC), and the military, they usually respond to the intelligence on crime the centre gives to the nearest unit and sector command,’’ he said. Obayemi, however, thanked motorists for the co-operation with the corps’ personnel so far, adding that it had led to a hitch-free FRSC Special Yuletide Operation within some days now. “I must laud other sister security agencies, the Nigerian Army, Nigeria Air-Force, the National Emergency Management Agency (NEMA) and the motoring public for their support to our special operation,’’ he said.